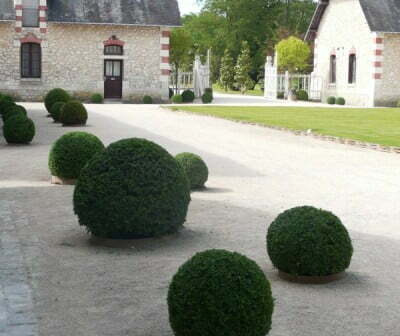 The International Garden Festival (IGF) held at the Chateau de Chaumont in the Loire Valley in France should be on the ‘bucket list’ of anyone who is interested in gardens and in particular in garden and landscape design. 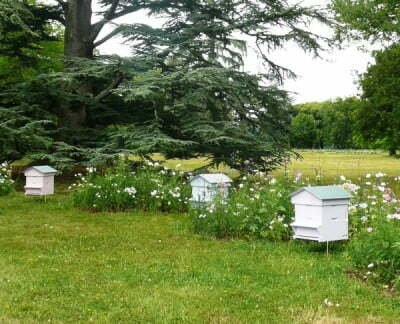 The festival is held over nearly 6 months from late April to mid October and showcases 20 or more designed gardens. I was lucky enough to be able to visit it last year and I can really recommend it. There are a number of things that make the Festival special. 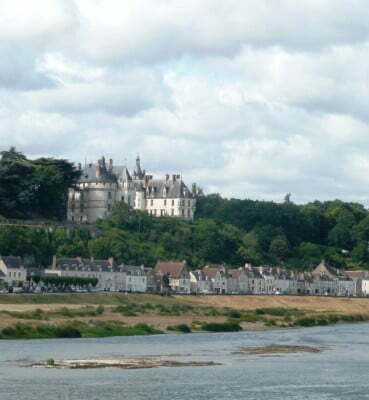 For a start the setting of the Chateau on the hill over looking the Loire River is fantastic. The fairytale chateau and stables, which are open for viewing, provide a beautiful backdrop to many of the display gardens. During my visit there was an overpowering aroma of lavender in one of the stable buildings. It took a while for my eyes to adjust to the shadowed interior but eventually I could see that there was a thick carpet of lavender blossom covering the floor. It was a delightful surprise. There is also a Patrick Blanc vertical garden ‘sculpture’ in the stables courtyard. In some ways the setting of the display gardens in the grounds of the chateau reminds me of the Hampton Court Flower Show but at Chaumont the buildings and gardens seem more integrated. The long opening season means that that the gardens aren’t crowded so can be enjoyed in a relaxed way. Less crowding means that the display gardens don’t have to be fenced off to protect them so you can really experience and interact with the gardens. I was able to sit on a wide variety of interesting garden seats, see the bees up close in the pollen garden, wander through Madame Irma’s caravan and even activate a fountain by peddling. Large groups of schoolchildren are able to sit in the gardens while the gardens are explained to them. 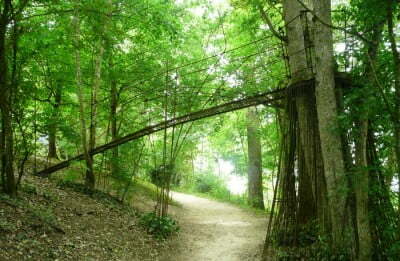 The theme for 2011 was ‘Gardens of the future or the art of happy biodiversity’. Many of the designs really explored the biodiversity theme and came up with very challenging ideas-based gardens. ‘The garden of extinct plants’, ‘Handle with care’ and ‘Biodiversity in question’ are just some of the gardens which developed the theme. There were 26 gardens on show, the majority of which were selected from submitted designs based on the theme but five ‘Personalities’ were invited to create either a garden or an art work of their own choosing. One of the invited designers was Loulou de la Falaise who was the subject of one of my earlier blogs. The others were Wang Xiangrong, landscape architect from China, French architect and town planner Dominique Perrault, another French architect, town planner and artist Edouard Francois and Brazillian artist Ernesto Saboia de Albuquereque Neto, who collaborated with his mother, landscape architect Daisy Cabral Nogueira. I will probably do a future blog on some of the display gardens that appealed to me. This year’s 2012 theme is ‘Gardens of delight, gardens of delirium’ so there is plenty of scope for the imagination to go wild with that theme. And finally the landscaped gardens surrounding the Chateau are absolutely beautiful and so interesting in their own right. Even without the Festival it would be worth a visit just to wander around the grounds. You can walk through the soft light of the forest to a secluded, steeply sided dell known as the Valley of the Mists and then out into an open sunny parkland dotted with magnificent trees. 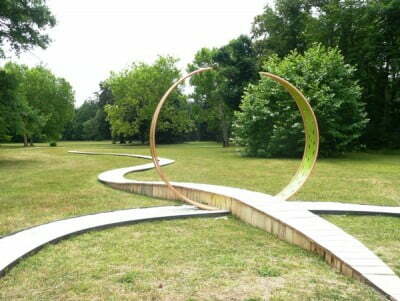 Artworks and installations are cleverly placed throughout the garden. 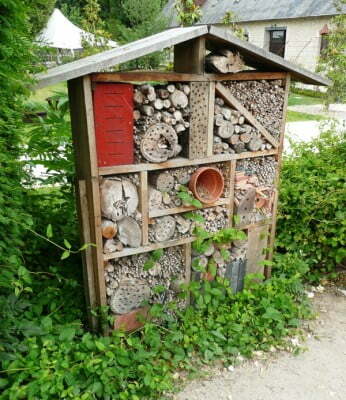 Close to some of the out- buildings there is a large experimental, organic garden bursting with creative ideas. Some of the out-buildings house exhibitions of art, sculpture and photography while others are used for cafes and conference rooms. Unlike some other garden festivals I have been to, where each display garden has its own leaflet explaining the garden, the IGF sells a book which showcases all of the gardens and provides additional background information. It is a great souvenir and is much more useful and practical than having a bag full of leaflets. The book is in French but there is an English addendum – it is a pity that a complete English version isn’t available but the good news is that there is a great pdf version in English available on the website. 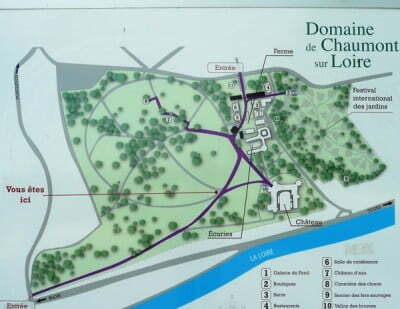 Last year when I was planning my visit I found the website http://www.domaine-chaumont.fr a bit clunky and difficult to navigate but while checking a few facts for this blog I discovered that the website has been updated and it is beautifully presented and easy to use. So now while you are working your way down your ‘bucket list’ you can enjoy the IGF without the jetlag. Linda is a landscape designer and horticulturist living in Fremantle, Western Australia. In 1988 she established Hidcote Landscapes and she still finds starting a new garden design a thrilling prospect. She loves visiting inspiring gardens overseas and exploring the bush closer to home. For more information visit www.hidcote.com.au.